Windows Task Manager is an application available on all Windows operating systems. 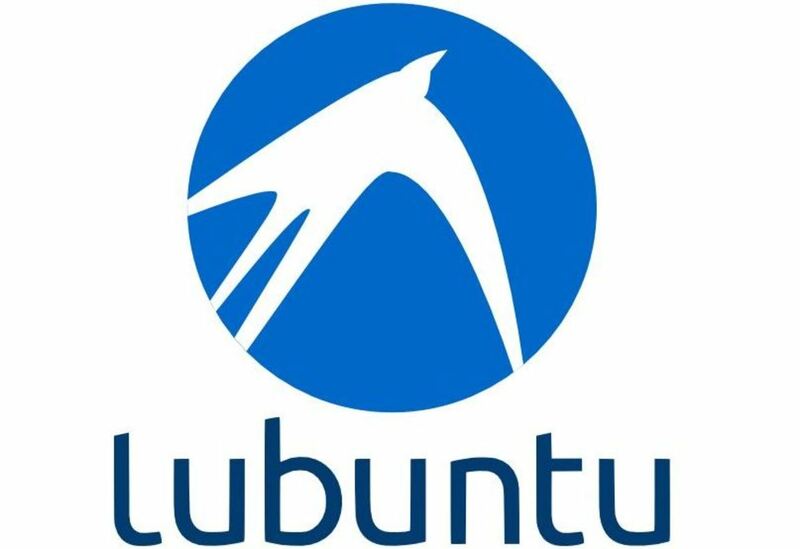 It provides information about running applications, processes, and services, as well as computer performance, network activity, and memory information. It allows users to end processes, adjust priorities, and even shut down Windows. There are multiple methods of accessing the Task Manager, and many uses for it. Are you having trouble accessing the Task Manager? 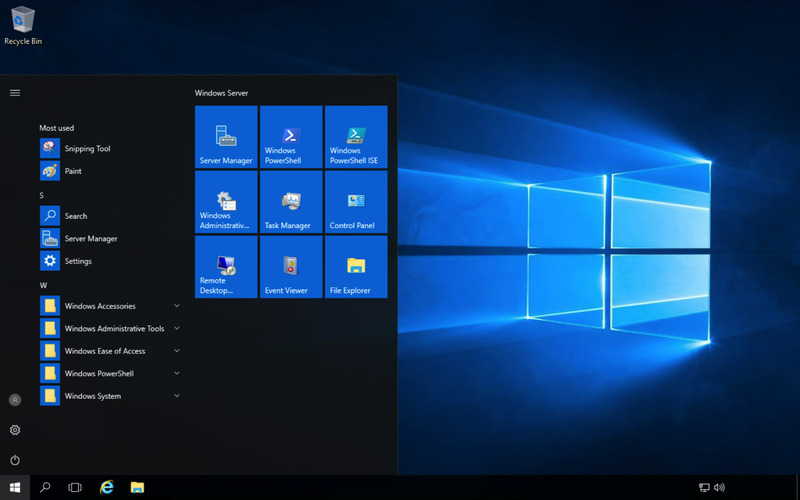 There are four ways that Windows users can open the application; each method will bring it up, so it does not matter which you decide to use. Choose from one of the four ways listed below. Press Ctrl + Alt + Delete and click the Task Manager option. Click the Start menu, select Run, and type in taskmgr. Right click the taskbar and select the Task Manager option. Simply choose whichever method works best for you. I tend to just scroll down and right click on the taskbar; there are no button combinations to remember with this method. Once you’ve opened up Task Manager, you can start ending unresponsive programs, altering process priorities, and more! Once you open the Task Manager, you’ll see six tabs under the menu bar: applications, processes, services, performance, networking, and users. Each of these tabs let the user control different aspects of what is running on their computer at that very moment. 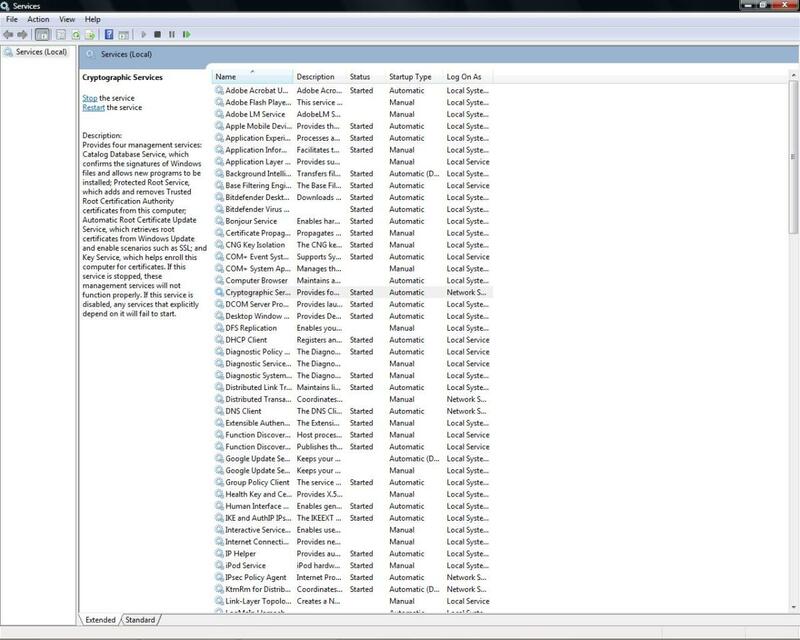 Under the Applications tab is a list of all the programs currently active on your computer. This does not include programs that are minimized in the System Tray, such as an antivirus program or a minimized instant messenger. Along the bottom of the window, you have three options. End Task is for terminating programs that are otherwise non-responsive, like a frozen web browser. Anyone who has owned a computer is familiar with this problem! Simply click on the program and the End Task button. But beware—closing your programs this way will result in losing any unsaved data. The Switch To option allows the user to bring up an open program. If for some reason you are unable to open the program yourself, Task Manager can pull up the window for you. Lastly, the New Task button does what it sounds like—start a new task. This is similar to selecting the Run option in the Start Menu. 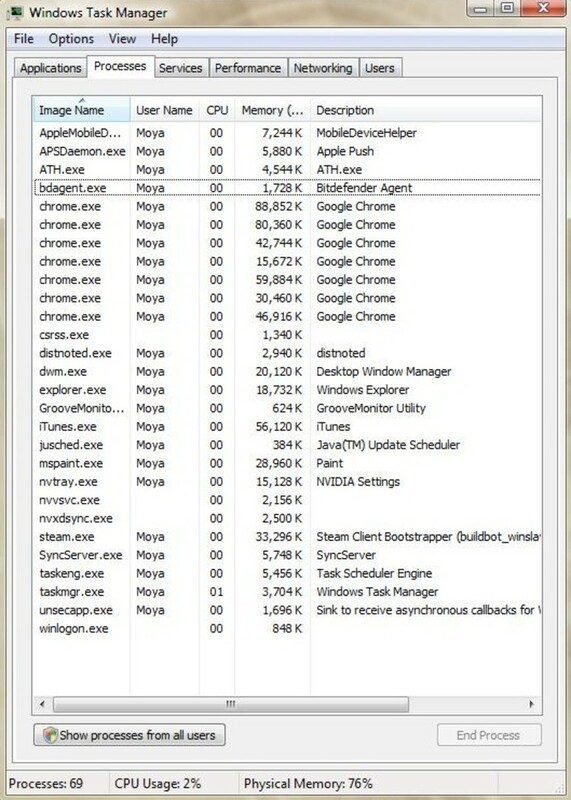 The amount of active processes on your computer, your CPU usage, and your physical memory usage are always located at the bottom of the Windows Task Manager? It doesn't matter what tab you're under! 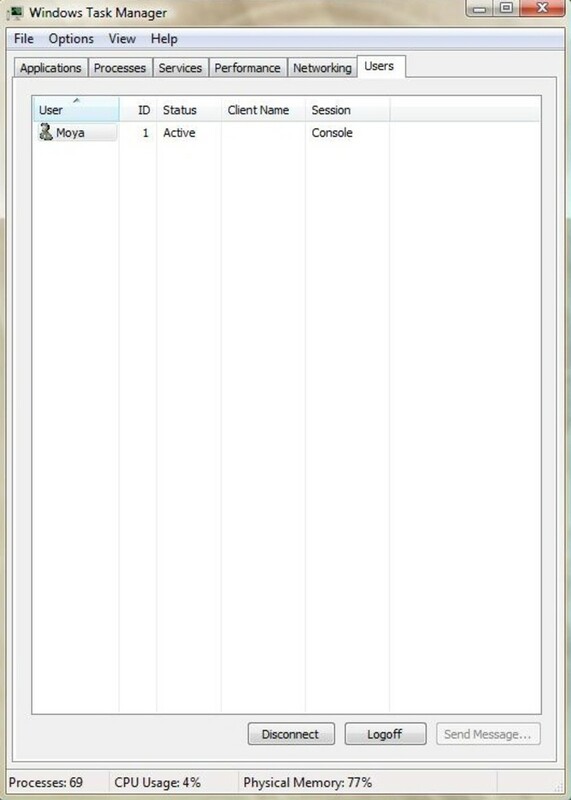 The Processes tab displays a list of processes currently running on your computer. These are all the programs that are active on your machine, from your antivirus to your web browser. If a program listed here is unresponsive, your best bet may be to end the process. The user here has two options. Show processes from all users will literally display every process running on your computer that might otherwise be hidden (tasks such as NVIDIA drivers and other advanced services); a user without administrative abilities may not be able to access this option. If you want to end a process, click on the process and select the End Process button. Remember that ending a process this way will lose all unsaved data. 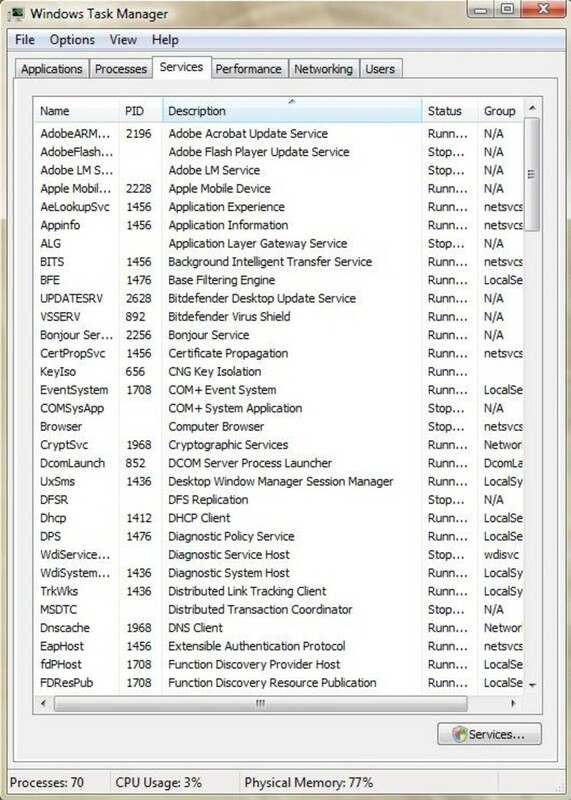 Services are background programs on your computer that often start when your turn on your computer. Programs like Windows Update, Windows Firewall, and Task Scheduler all fall under this category. This list can be the most confusing and have the least amount of programs we are familiar with. On the bottom of the Task Manager window, there is only one option, labeled Services. While you can just right-click on a service to start or stop it, this Services button is more helpful. 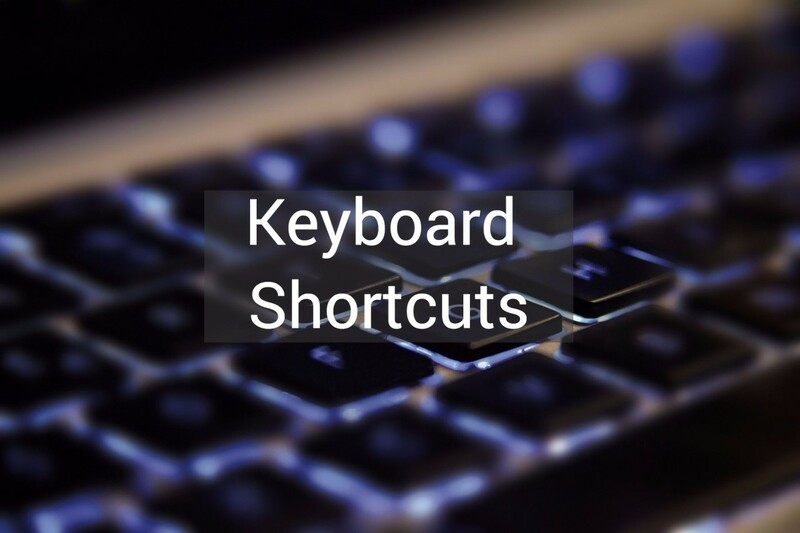 Clicking it will open up a new list of your computer’s services. Clicking on them will describe what its purpose is. 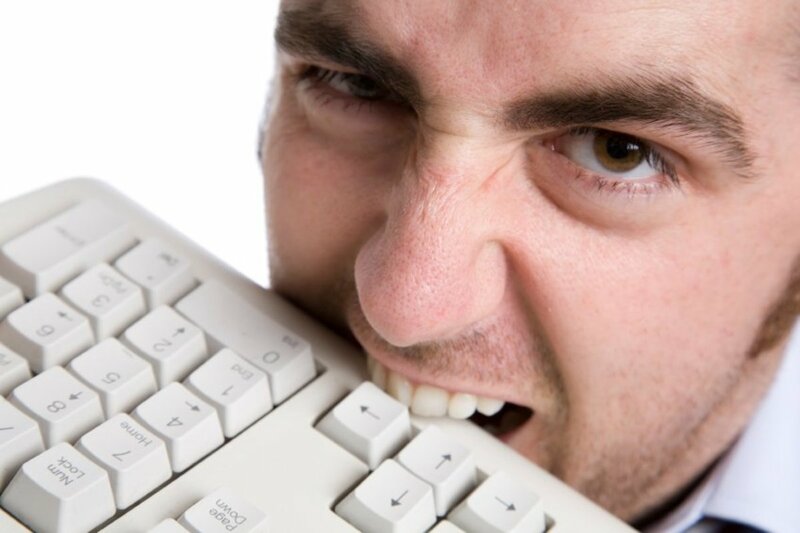 Right-clicking on a service will enable users to start, stop, restart, or alter the properties of that service. If a service starts up automatically for example, you can cancel that feature. The Performance tab displays aspects of your computer system’s performance for your viewing. There aren’t any options you can change in this area, or programs you can end. This features simply shows users how their computer is performing under the current services and tasks. In this tab, you can see the following items. A computer’s CPU, or central processing unit, executes tasks and programs for a computer; the higher the CPU usage, the more tasks it is carrying out. A computer with a high CPU often runs very slowly as a result. CPU Usage and CPU Usage History helps users monitor the status of their CPU. 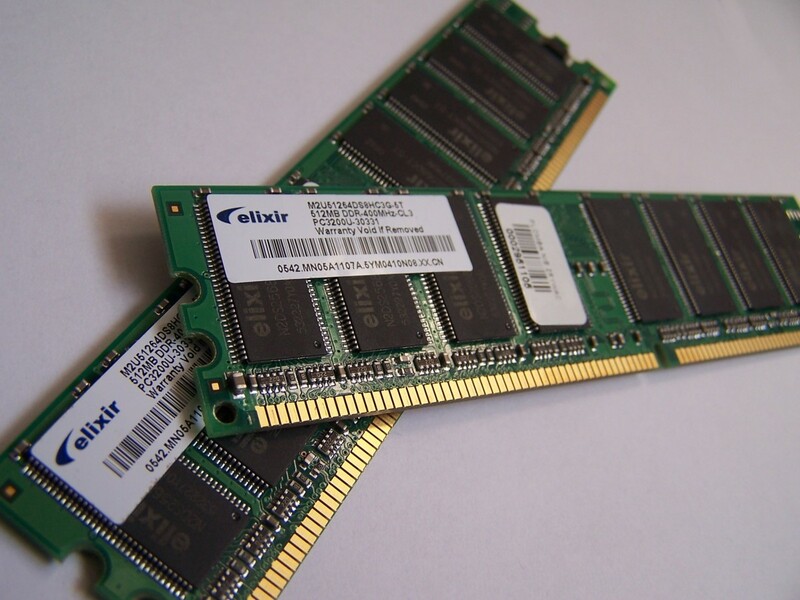 A computer’s memory usage, on the other hand, is how much RAM is being used by the computer at the time. 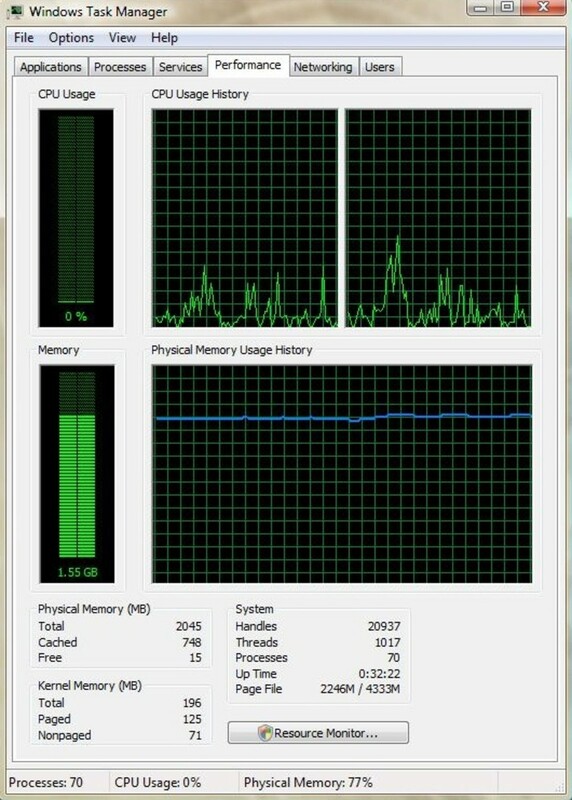 If you are running many programs at once, your Physical Memory Usage may be very high. 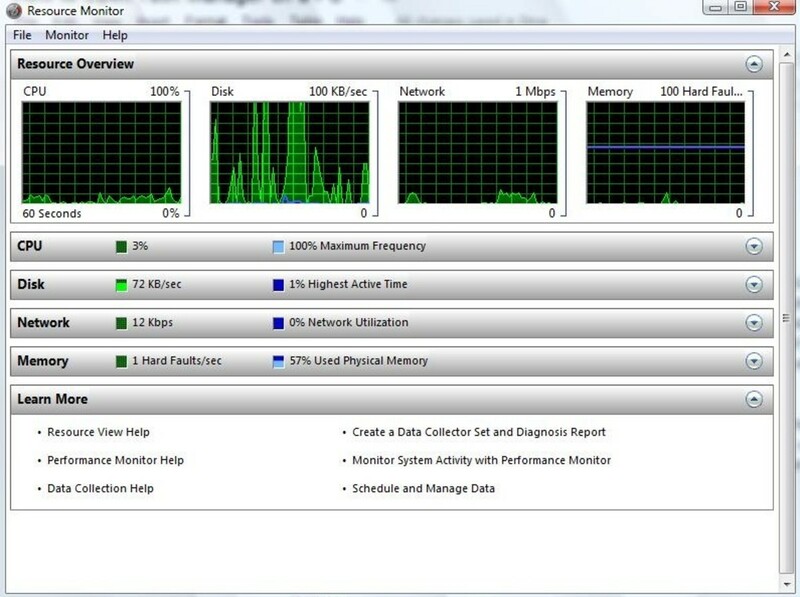 The Resource Monitor option opens a new window displaying advanced graphs of the CPU, disk, network, and memory usage on your computer. With the Learn More tab, users can view help documents relating to the performance monitor, as well as how to monitor system activity with the Performance Monitor. 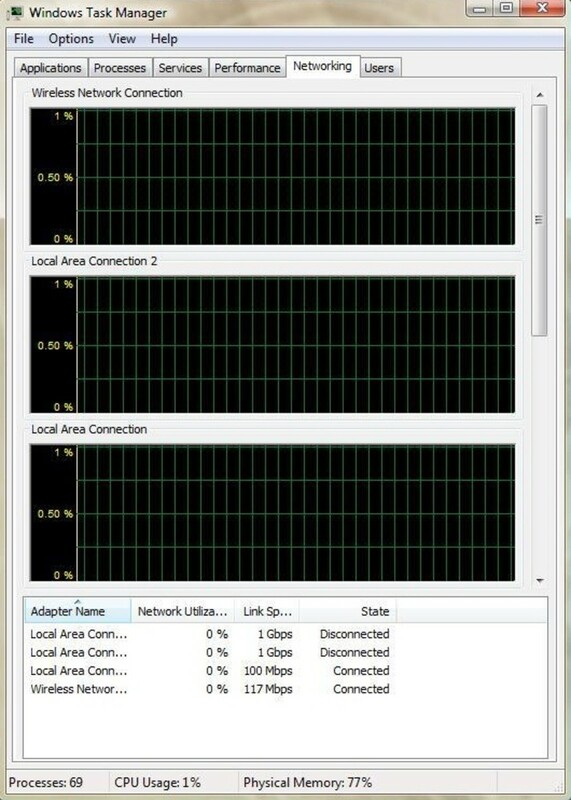 The Networking tab of the Task Manager displays the adaptors for each network on the computer, along with graphs showing the current usage of each active network. You should see just a little bit of activity on your preferred network, be it wireless or a local area connection. The more internet you are using, the higher the percentage will be on the graph. The final tab, called Users, displays the active users on the computer system. This option is useful for computers that have multiple user profiles, such as school computers or some family desktop computers. 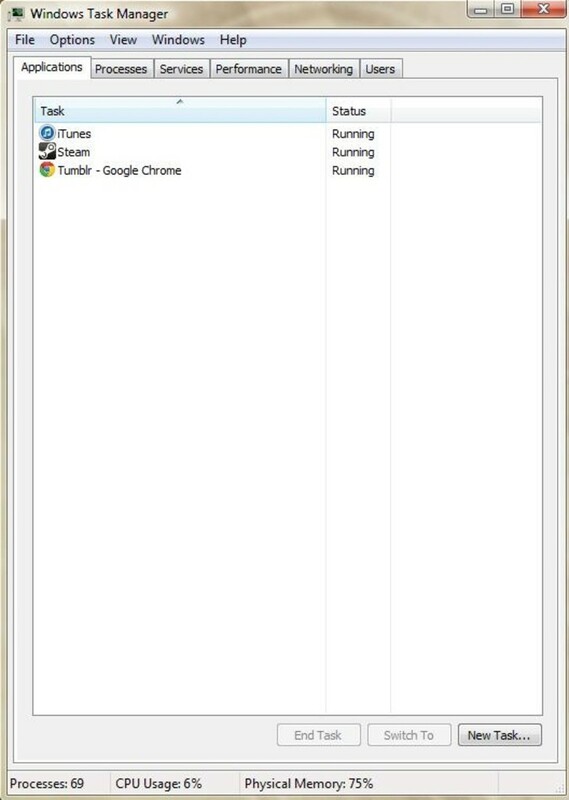 The tab only displays active user profiles with an open session on the computer. Here, you can do the following to another user. When a user is disconnected, their session is temporarily ended. When they log on later, they will be able to continue where they left off. No data is lost with this option. Logging off a user, however, terminates their session and may cause the user to lose any unsaved data. When they log on again, they will start a new session, as the last was not saved in memory. AnVir Task Manager Free provides convenience by offering all of its features in a single interface. It saves money because users won't have to buy multiple packages to perform a family of related tasks. Process Explorer, also known as procexp.exe, shows you information about which handles and DLLs processes have opened or loaded. Process Hacker was started in 2008 as an open source alternative to programs such as Task Manager and Process Explorer. Remember to be careful when using Task Manager. Ending a process or service you aren’t familiar with can be dangerous to your computer. 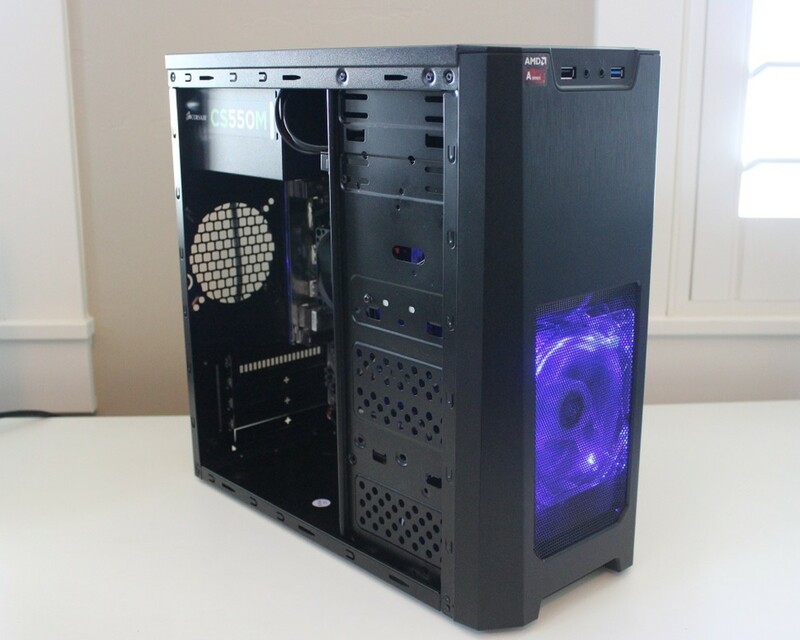 Computer systems require many services to run properly, so always do your research before ending an unknown process or service. Task Manager is a tool, and should always be used with caution. Good luck! Have you ever used Task Manager? My PC is extremely slow. It takes a very long time to start up, log off, to go from one page to another, and for links to open. What do I do? You can try checking task manager to see if several programs are running at once. Sometimes when you install programs, they are automatically set to start up when you turn on the computer. If you don't use those programs that much, it can slow it down unnecessarily. You would have to go into each program's settings and disable that option, though. If you have a lot of programs on your computer that you don't use, you can uninstall them. I wouldn't uninstall anything that came with your computer when you first got it, though - I'm talking about programs you have installed in the past that you don't use anymore. If you have an antivirus installed on your computer, it can scan for malware and viruses, as well as optimize and clean up leftover files on your computer. If none of this is helping, you can always bring your computer to a repair service like Geek Squad. They'll charge you to check in and service your computer, but they may be able to clean up and speed it up, or get to the root of your problem.